The best way to improve your marketing results is to set marketing goals. When businesses try to implement marketing activities without properly defined goals and the supporting strategies to achieve those goals, the result is ineffective marketing and dismal business results. Without goals that can be tracked and measured, how will you know if you are successful? Your vision is what you want your business to look like a some time in the future. When clearly defined, your vision becomes a beacon that inspires, gives you direction and keeps you on course. Having a clear vision allows you create marketing goals that move you closer to your ideal future. If you find that you have goals that you never achieve, the issue may not be the goal. The issue may be that the goal isn’t aligned with your vision. Grow your business into a $3M company with 30 employees, then your goals need to align with what you should do to achieve that growth. Build a lifestyle business that offers select services to small business owners, then your goals will be congruent with staying independent. Focus on where you spend your time, effort and resources. If an opportunity arises that doesn’t help you achieve your goal and get closer to your vision, it is easier to say no to the distraction. If however, the opportunity does help you move in the right direction, you may choose to add it to your projects and tasks. Streamline your efforts and avoid time wasters. Using your vision and goals as a compass, you can decide if you are doing the right thing at the right time for your business. This helps you eliminate tasks that take you away from the important projects that move you closer to where you want to be. Why set business and marketing goals? Developing an effective marketing plan requires that you understand what you are trying to achieve in your business within a finite period of time and set in motion the activities that will help you get there. Unfortunately most small businesses determine marketing activities based on what everyone else is doing rather than on what their business needs to do to be successful. Selecting marketing strategies like Facebook advertising, Google Ads, content marketing, social media and email marketing are all effective marketing strategies. But are they the right ones for your business? Do you measure success if you haven’t set goals? Should you allocate resources – time and money – to the right activities if you don’t know if they will lead you to your vision? Will you know when to adjust what you are doing if you can’t measure its success? What do I need to work on today? Is this activity getting me to my vision? What can I eliminate from my to do list? Which activities can I outsource to gain more time to do what is important to the growth of my business? Each time you are faced with a new opportunity to add another item to your list, ask yourself these questions. You may find that you can better manage your to do list, eliminate non-essential tasks and successfully achieve your goals. 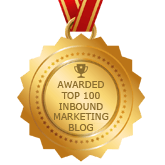 What is the difference between business and marketing goals? Your business goals can address many different elements in your business such as revenue, sales, customer service, operational efficiency or human capital. Marketing goals will normally support the revenue and sales business goals. Some may be accomplished in a shorter period of time. Others may take longer to get to your desired outcome. 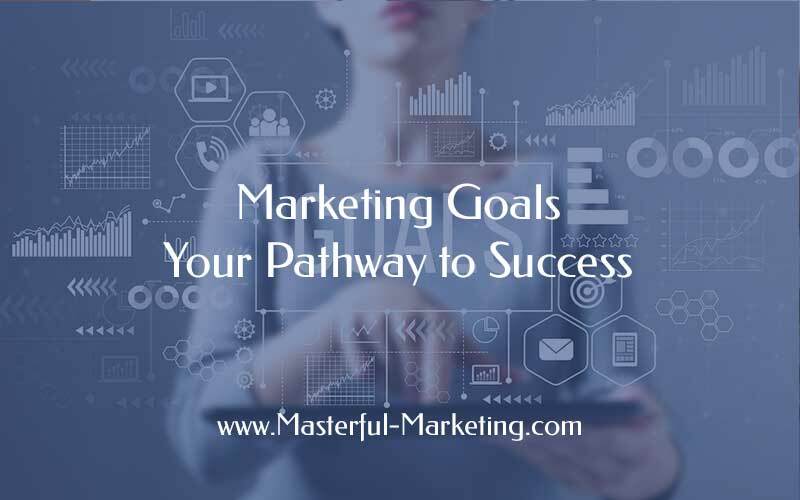 Once you’ve set your marketing goals you can now define the strategies, projects and tasks needed to accomplish those goals. I like to set up a hierarchy of goals -> strategies -> projects -> tasks. High level goals can be accomplished through different strategies, all requiring unique projects and their subsequent tasks. If, for example, your outcome goal is to generate $10,000 per month from your signature service or attract 3 new retainer clients per quarter, your marketing strategies should be selected to achieve those outcomes. Then you can define the projects within each strategy and break them down into manageable tasks. Even if you are trying to accomplish more long term goals such as brand awareness and reputation, your projects and tasks aligning with those goals should be things you can do in 90 days. 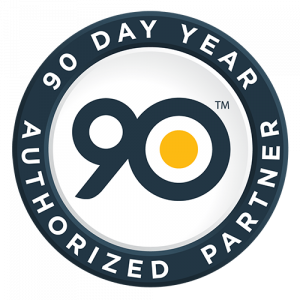 Trying to create a marketing plan beyond 90 days is futile. The market and landscape changes too rapidly to try and plan that far in advance. You want to remain flexible and adjust your marketing activities based on your results and what has changed in the market. Create a new lead magnet that will add 200 new subscribers to my in-house email list and generate 15 qualified, inbound leads per month. Create and promote one new piece of content per week so that it drives more traffic to our website, leading to 100 new subscribers and 15 qualified inbound leads. Develop and promote one webinar per quarter that results in 50 warm leads and generates $5000 in revenue from our signature service. Note that both your marketing outcome goals and projects are measurable and have a time based component. Achieving these goals now becomes an exercise in defining the detailed tasks and resources needed to bring about your desired results. Understanding your one outcome goal for your business helps you focus on the important marketing activities that will get you where you want to be. Without goals, you run the risk of wandering aimlessly throughout the year, unfocused and possibly missing opportunities that could elevate your business to a new level. The path you have explained about Setting up marketing goals and how to get succeed is excellent..